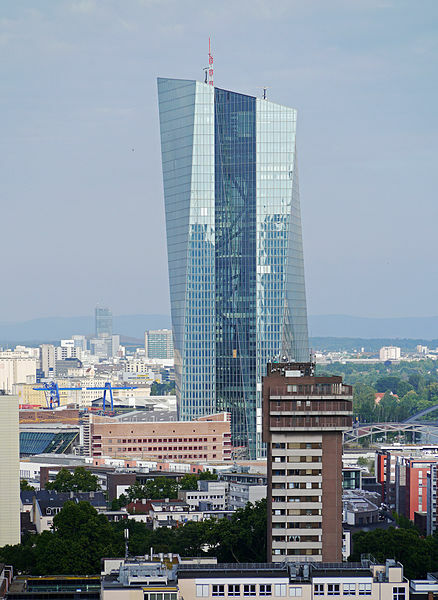 The European Central Bank`s new twin towers designed by austrian architects COOP Himmelblau in Frankfurt were officially opened on 18 March 2015. It`s North tower is 185 m and the South tower 165 m. One question here is: what is the indication of the fact that the north tower is taller than the south tower ? Is that an allusion to the confrontation of the economical roles of the 2 halves of the continent _ and the dominance of the North over the South?. And if so who is responsible for that architectural definition? Field Level 3: Capricorn with Pisces – stabilization or destabilzation? Astrogeographic position for morphogenetic field level 3 which describes the buildings themselves and the way they are embedded in the landscape: the construction is located in highly defensive, hierarchical, strict, conservative earth sign Capricorn sign of political stability, control, authority, rules and regulations, the ruling classes and of government insitutions in general. 2nd coordinate in relaxed, mystic, spiritual water sign Pisces sign of legends, mystification, fairy tales, hiding, illusions, temples, italian culture, the catholic church and an indicator for destabilization + corruption. Pisces could stand for the amalgamation of the different european cultures and national identites. The first coordinate indicating the global importance of the ECB falls on 27° of highly defensive, hierarchical, fixed, mental water sign Scorpio. For astrological evaluation of this degree it is to be compared to the last degrees of the other fixed signs. Similar to the last degrees of water sign Scorpio the last degrees of fire sign Leo and earth sign Taurus like only few other parts of the zodiac stand for wealth and dominion. If we assume that the position in the last degrees of earth sign Taurus indicates the climax of material wealth and property (richest farmer or possessor of real estate) and the position in the last degree of royal fire sign Leo describes the climax of individual kingdom (Sun King) then the last degrees in Scorpio the sign of assertiveness in social hierarchies indicates the social role conduct of the dominator in social groups. Or to say it shortly: The position in the last degrees of Scorpio does not stand for the richest among land owners and farmers (Taurus) or the most glorious of the sun kings (Leo) but rather for the strongest among the tyrants (Scorpio). The second coordinate of the ECB right in the middle of highly profitable earth sign Taurus the sign of market places describes the role of the City of Frankfurt as a market place and seat of the German Stock Exchange (DAX). What does the ECB and the birth place of Zeus have in common? The central building of the European banking system and the greek godfather share one aspect: Both are closely related to the degree of 27° Scorpio for morphogenetic field level 1. The morphogenetic resonance between the site of the ECB in Frankfurt and the site of the birthplace of Zeus on the island of Crete is a fascinating constellation in regard to the problematic situation between the European Banking System and Greece before and during the European Debt Crisis since 2009. If any social group in Greece might be archetypal of this apect of Zeus it would be the superrich greek ship owners. 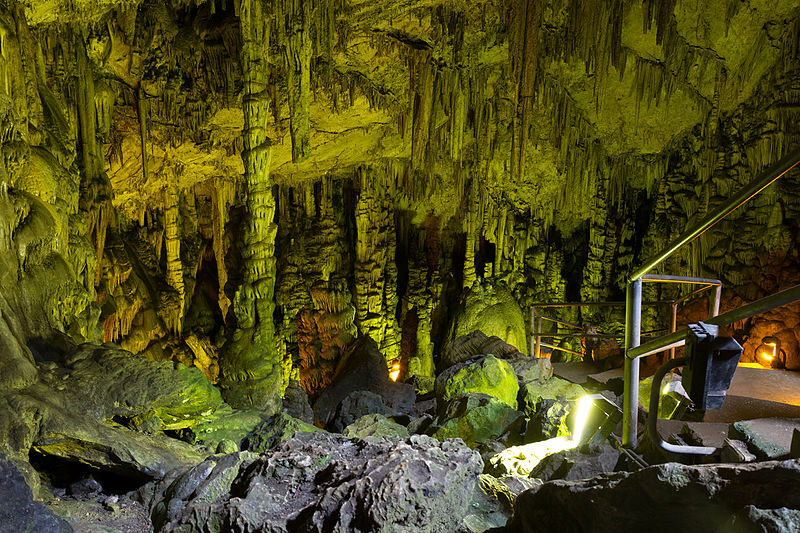 For field level 1 which describes the global meaning of Psychro Cave the place is located at 5° of the mental fire sign Sagittarius, an aspect which indicates that Zeus would have been born in his own sign or field and not in exile here. The 2nd coordinate of global importance falls on 27° of defensive, hierarchical, fixed water sign Scorpio. For astrological evaluation of this degree it is to be compared to the last degrees of the other fixed signs. Similar to the last degrees of water sign Scorpio the last degrees of fire sign Leo and earth sign Taurus like only few other parts of the zodiac stand for wealth and dominion. If we assume that the position in the last degrees of earth sign Taurus indicates the climax of material wealth and property (richest farmer or possessor of real estate) and the position in the last degree of royal fire sign Leo describes the climax of individual kingdom (Sun King) then the last degrees in Scorpio the sign of assertiveness in social hierarchies indicates the social role conduct of the dominator in social groups. Or to say it shortly: The position in the last degrees of Scorpio does not stand for the richest among land owners and farmers (Taurus) or the most glorious of the sun kings (Leo) but rather for the strongest among the tyrants (Scorpio). The World Bank Group is a family of five international organizations that make leveraged loans to developing countries. Founded on 4 July 1944. It is the largest and most well-known development bank in the world. 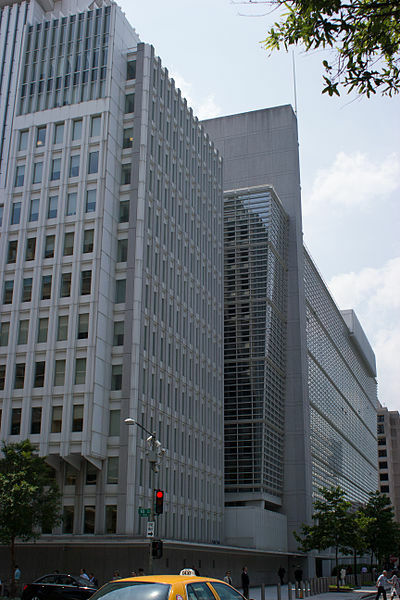 The International Monetary Fund building is located right next to the World Bank. The IMF was founded on 27 December 1945. 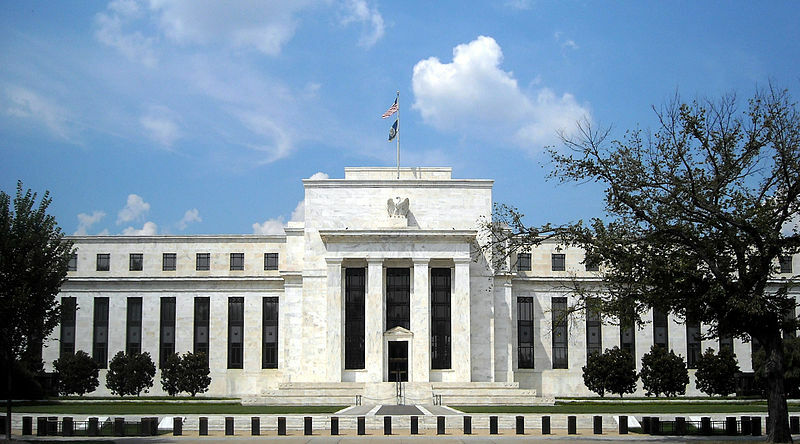 Also located in Washington is the Federal Reserve Board. Astrogeographical position of the World Bank Group and International Monetary Fund buildings in Washington for morphogenetic field level 3 which describes the atmosphere and topic of the area where the building is located together with the White House: the sites are located in practical air sign Gemini sign of contacts, communication, interfaces, indformation, spying, connecting people and road crossings. The 2nd coordinate lies in aristocratic air sign Libra sign of openness, harmony, balance, justice, relationship, consulations. The Bank of China was founded in 1912. Astrogeographic position of the Bank of China headquarters in Beijing for morphogenetic field level 1 which describes the supraregional international topics of the institution: one coordinate is located at 2° in fire sign Leo and at 17°Sagittarius. Astrogeographical position of the Bank of China building in beijing for morphogenetic field level 4 which describes the atmosphere and energetical topics of the building itself : one coordinate stretches from dynamic fire sign Sagittarius sign of style, design, luxury, success, travelling, thinking, growth into solid, strict, hierarchical, exclusive earth sign Capricorn sign of control, rules and regulations, government and the ruling classes. 2nd coordinate is in emotional water sign Cancer sign of feeling at home. The combination of Sagittarius with Cancer stands for the round architectural elements and the dome. 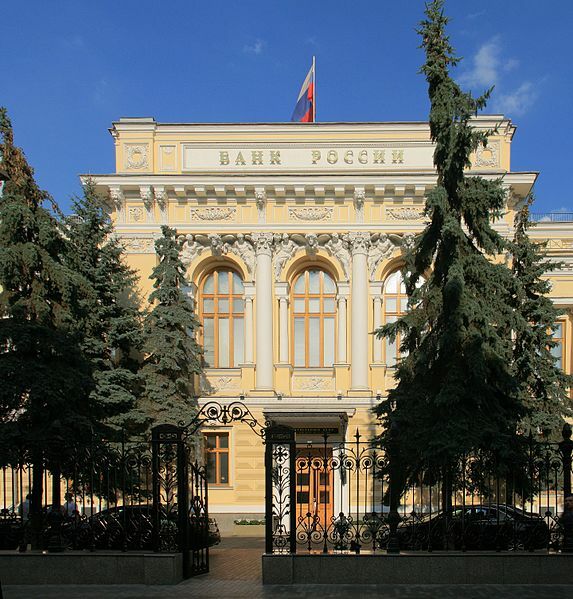 The Central Bank of the Russian Federation established 13 July 1990 followed the State Bank of the USSR and the Russian Imperial Bank founded in 1860. Astrogeographic position of the Central Bank of Russia headquarters in Moscow for morphogenetic field level 1 which describes the supraregional international topics of the institution: one coordinate is located at 2°Taurus the 2nd at 12°Cancer. 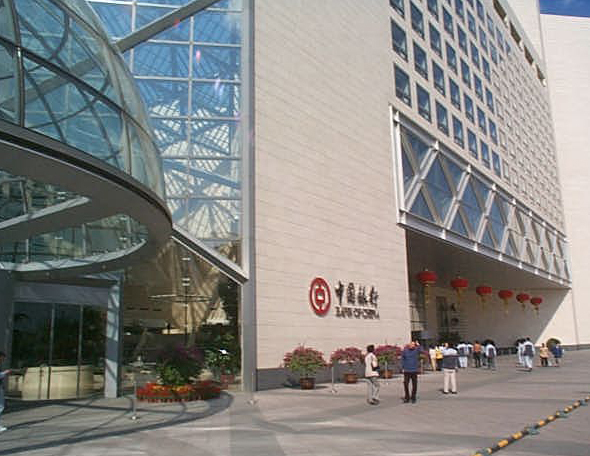 The 2°Taurus coordinate lies in exact square to the astrogeographical position of the Bank of China in Beijing. Astrogeographical position of the Central Bank of Russia building in Beijing for morphogenetic field level 4 which describes the atmosphere and energetical topics of the building and surrounding area: one coordinate lies in arssocratic air sign Libra sign of harmony, balance, beauty, justice, openness, relationships, consultations. The 2nd coordinate is in dynamic fire sign Sagittarius sign of style, design, luxury, success, travelling, thinking, growth.